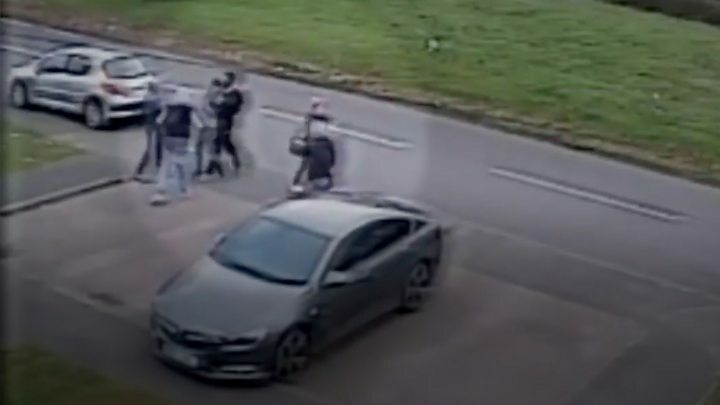 A mother said she hoped footage showing the "indescribable" moment she arrived at the scene of her teenage son's fatal stabbing will help tackle knife crime. Azaan Kaleem, 18, was with his girlfriend in Luton in March 2018 when he was fatally injured by strangers. Four men have been convicted over his death, with the case due to feature on Channel 4's 24 Hours in Police Custody. Roseann Taylor said she wanted to be part of the episode to help raise awareness of the impact on families. She said: "The reason I agreed to that footage being used is because I can't tell you in words what was going through my mind. "I can try to describe it but it wouldn't resonate. It's indescribable. "It's important to me that people watch this footage and realise how quickly a situation can escalate, as well as realising the consequences where weapons are involved. "So many people have been impacted by what happened to Azaan, and I hope that nobody else has to go through what we have been through." Mr Kaleem was stabbed on 22 March 2018 and died in hospital two days later. Rashaan Ellis, 18, of Derwent Road, Luton, and Callum Smith, 19, of Cowridge Crescent, Luton, who can be named now a reporting restriction was lifted, were given life sentences after being convicted of murder in December. Harrison Searle, 18, of Derwent Road, Luton, who was also convicted of murder, was given life with a minimum of 16 years in jail. Just over a year on from her son's death, Ms Taylor, who switched off her son's life support machine, said the "grieving is still there". Monday's episode also examines the investigation into a double stabbing at the Mall shopping centre in Luton in January 2018. Det Sgt Tom Hamm, of Bedfordshire Police's Serious Crime Investigation Team, said the criminal justice system was "creaking under the strain" of knife crime. "If knife crime was equated to a disease, this would be a national emergency," he said.